This summer, my sister Victoria Ward and I wandered Ontario’s Highlands in search of art, culture, and natural beauty – and opportunities to enjoy them. We found a profusion of all three. In fact, it is safe to say, the region can be characterized by the thriving art and culture scene, rugged beauty, and serenity and we found lots of great things to do in Ontario. This is the second post about our #ComeWander trip in Ontario’s Highlands. Please note: We were on a media trip sponsored by the Ontario’s Highlands Tourism Organization. Ontario’s Highlands is one of my favourite places to visit in Canada for exploring the ruggedly beautiful Canadian wilderness. It must rank on every list of top Ontario getaways. 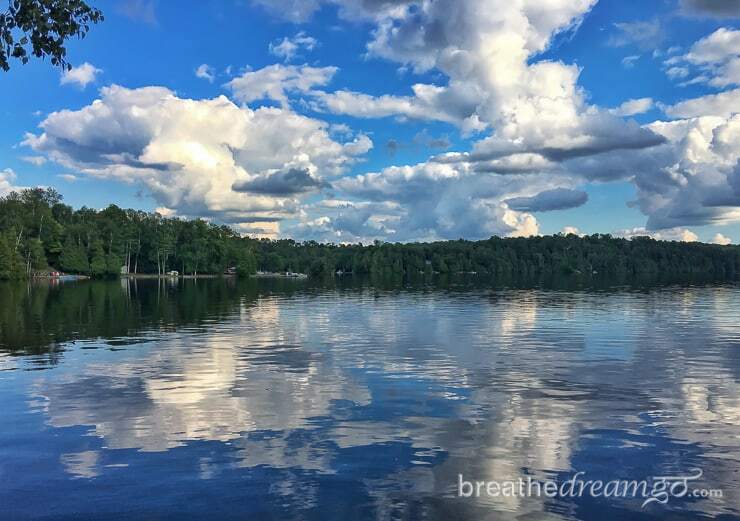 The entire region is a picture postcard of rolling hills, thick boreal / mixed hardwood forest, sparkling lakes, and the ancient rock of the Canadian shield. There are lots of things to do in Ontario that will immerse you in natural beauty. And you don’t even have to make a special effort. As you wander the highways and byways, you can find natural beauty literally around every corner. Driving or cycling around this region, you will round a bend on a winding road and suddenly a vista of rolling green hills topped with Canada’s big sky will open before you. Magnificent. We wandered the Haliburton Highlands, stopping occasionally to swim in a clean, crisp lake or pick up some locally prepared foods. 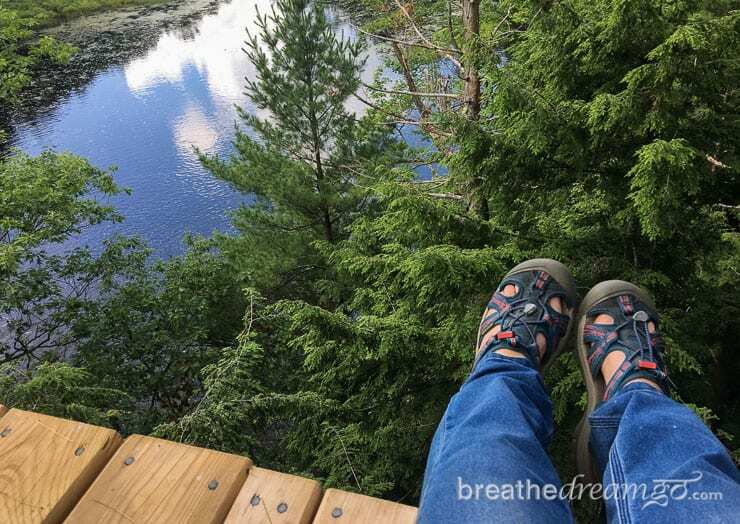 And we also found a couple of unique opportunities to explore the region’s natural assets at a wolf sanctuary, The Haliburton Forest Reserve and Wildlife Reserve, and Silent Lake, one of the most pristine, serene, and magnificent provincial parks in Ontario. Wolves can be seen playing at the Wolf Centre in Ontario. Photo credit: Haliburton Forest. Once upon a time, when Europeans were settling Ontario in the late 19th century, they built railroad lines into the forest. 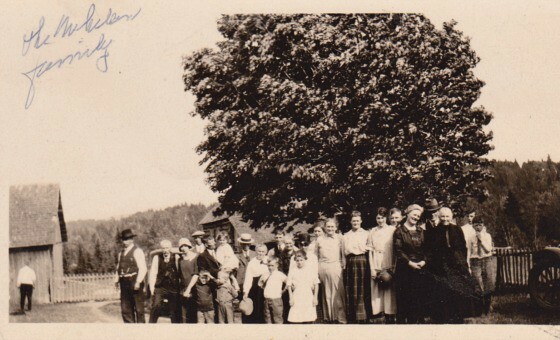 The end of the line for one track was Haliburton, a village charmingly located on a glassy lake amidst the highlands. 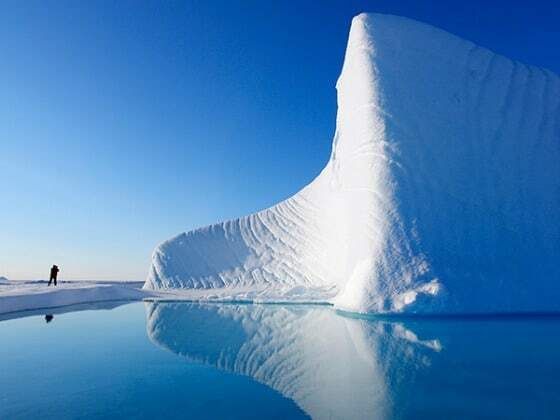 This was a pristine wilderness area, teeming with animals and birds, covered with forests and the ancient rock now known as the Canadian shield. The land north of Haliburton was subjected to extensive timber harvesting that decimated the forest. A family from Germany bought up large tracts of it, and started to reforest. Over time, the Haliburton Forest Reserve and Wildlife Reserve, as it now called, has become a unique, private sanctuary for nature lovers. 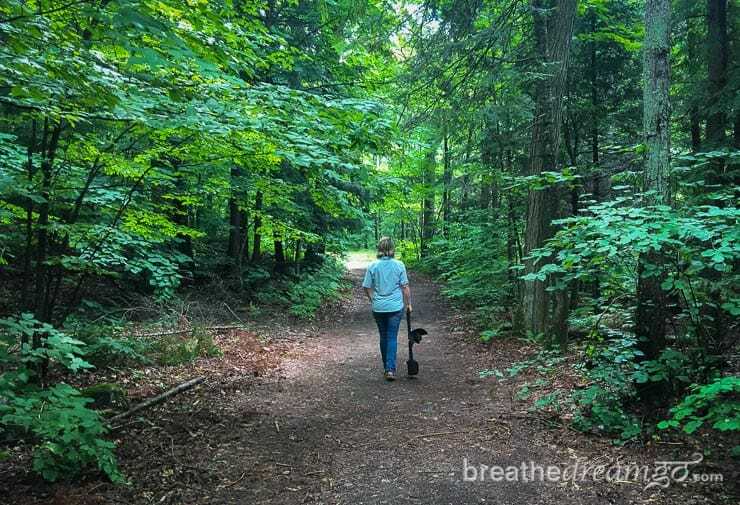 There are many things on offer at the 400-square-kilometre Haliburton Forest, such as camping, hiking, swimming, and mountain biking in summer, and snowmobiling and dog sledding in winter. But the two biggest draws are the Wolf Centre and the Canopy Tour. Pups play at the Haliburton Forest Wolf Centre. Photo credit: Haliburton Forest. The Wolf Centre is a 15-acre enclosure that houses a wolf pack, and an adjacent building with a viewing room, exhibits, a theatre, and a store. The purpose of the wolf centre is to educate people about these often misunderstood and maligned animals. Exhibits show how wolves are presented in popular culture – think Little Red Riding Hood – and also how they live in the wild, where they are distributed, and other facts of life. 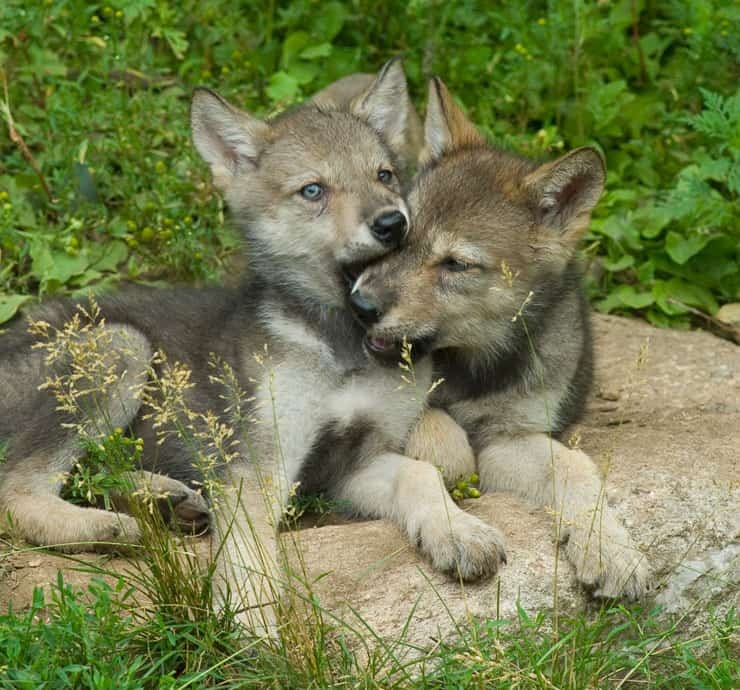 Currently, an alpha female, Luna, and an alpha male, Fang, and their offspring live in the Wolf Centre enclosure. This spring, two new pups were born. (And there was a contest to name them when I was there. The names have to start with the letter ‘R,’ so I’m hoping for Remus and Romulus.) I was very lucky to see the pups, and literally all the other members of the pack, too, when I was there. They were sunning themselves right outside the viewing window. While we could see them, they could not see us. Apparently, they can hear us though, and possibly smell us too – wolves have a sense of hearing and smell that is far superiors to ours. Perhaps for some, this experience may seem too much like a zoo. 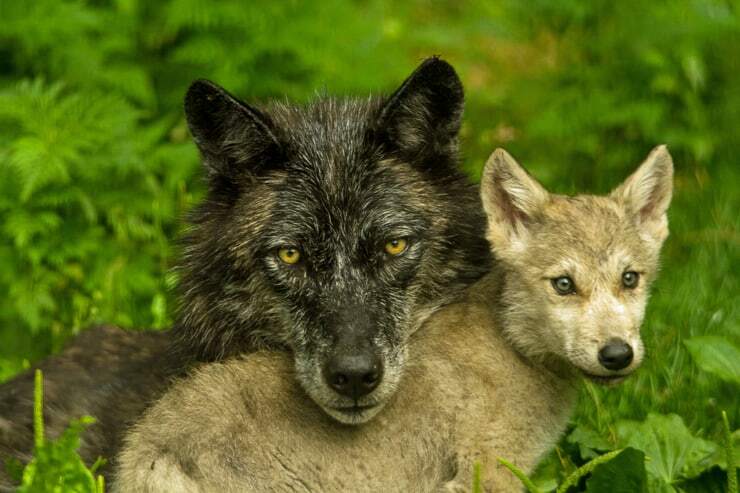 The wolves live in a territory that is smaller than it would be if they were in the wild, and they are given road kill and other animal carcasses to eat. Otherwise, their life is largely natural. You can read about the history of the wolf pack here, and how the Wolf Centre began – it’s a fascinating story. My feeling is that the people who run the Wolf Centre really do care about these animals, and they are very passionate about educating the public – many of whom might otherwise consider these animals more dangerous or more of a nuisance than they really are. Wolves have acquired a largely undeserved sinister reputation, much like snakes. 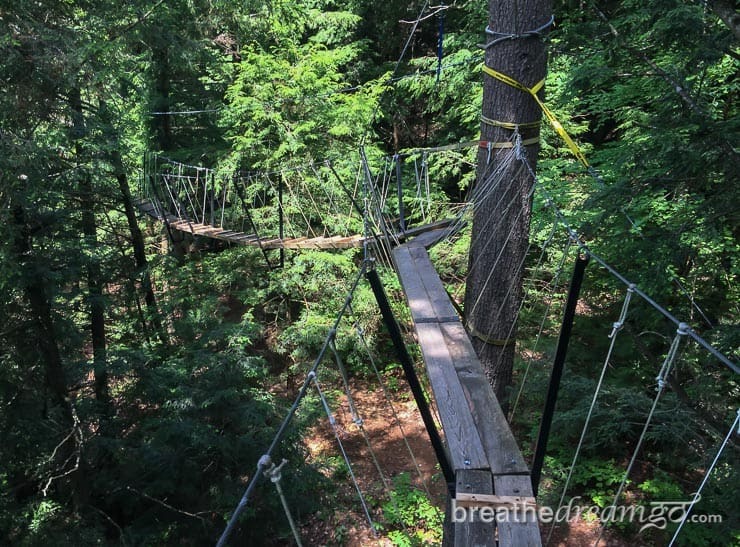 For me, the Canopy Tour – a walk in the clouds – was the most exciting part of my day at the Haliburton Forest and it makes for a fantastic Ontario getaway. I was very impressed with the height and length of the tour, and the beauty of the thick forest we walked through. Luckily, I am not afraid of heights as the half-kilometre long Canopy Tour is 10 – 20 metres above ground. Before you start the Canopy Tour, your guide instructs you on safety, and provides you with a harness to wear. As you walk along the surprisingly narrow, springy planks, you are always harnessed to a steel cable. So even if you do slip, you will not fall. Nevertheless, it is a bit of a shocker when you start walking and realize how much you are swaying! After a few seconds, though, it’s just part of the fun. What did I like about it so much? Part of it was the quiet and serenity of being up in the canopy. When I was there, it was just my guide and I on the tour, and for part of it we walked in complete silence. We saw birds at eye level, and stopped at a viewing platform with a stunning view. My guide, Tegan, opened her pack and brought out cool lemonade and a granola bar, as a snack. I did not want the walk to end, as I loved the experience. However, even when you get down from the canopy tour, you still have a lovely walk through the forest, and along a river, on your way back to base camp. While the Haliburton Forest is a private wildlife sanctuary, Silent Lake is an Ontario provincial park in the Haliburton Highlands. I’ve been to this park many times, as my sister Victoria Ward lives nearby. To me, it is a gem, one of my favourite Ontario getaways. The day we went it was overcast, the weekend visitors had already left and it was indeed silent. Ringed with a deep, dark forest, a brooding, serene, and timeless atmosphere hung over the lake. We walked the smooth rock face that slants into the still waters, observing the patterns etched into these ancient rocks of the Canadian Shield. 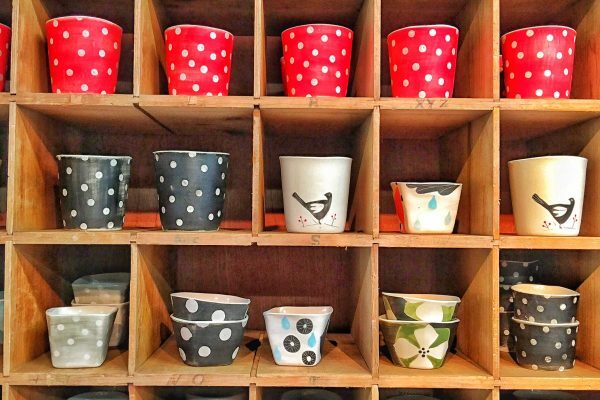 My brother-in-law Gary Blundell is a geologist and artist who is particularly attuned to rock faces, and who showed us some inexplicable spots – polka dots! – on the rocks. Then, we laid out a picnic spread, and went swimming in the clean waters of the tepid lake, not too cool, but not warm either. 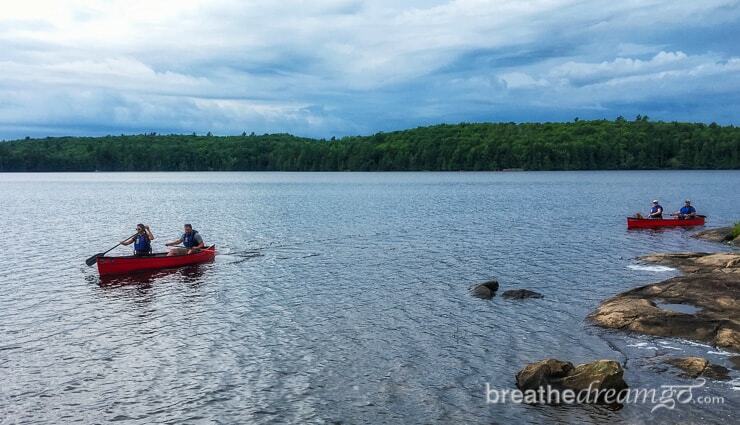 Silent Lake is a motor-free lake, which makes it ideal for swimming and canoeing. Silent Lake provincial park is situated at a longitude in Canada that places it on the border of the great Canadian wilderness. It feels like a northern landscape, though it is only a few hours’ drive from Toronto. The park is open for the season (mid May to mid October), and there are numerous accommodation options. You can bring a tent and stay at a walk-in site near the lake, there’s a campground for car camping, you can stay in a canvas covered yurt, or you can rent one of the newly constructed pine cabins. We were very impressed by the cabins, that are ideal for winter or for people and families who are unused to camping. 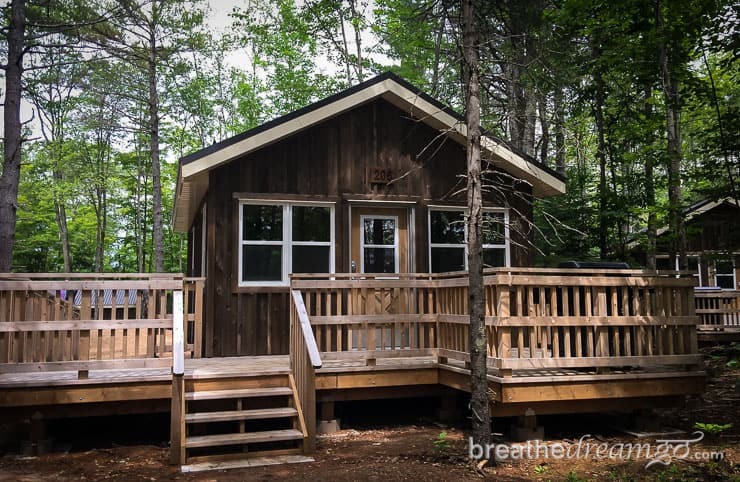 Facilities include a dining area and indoor gas fireplace – but no washroom or running water. You have to walk to the comfort station to use the washroom and take a shower. 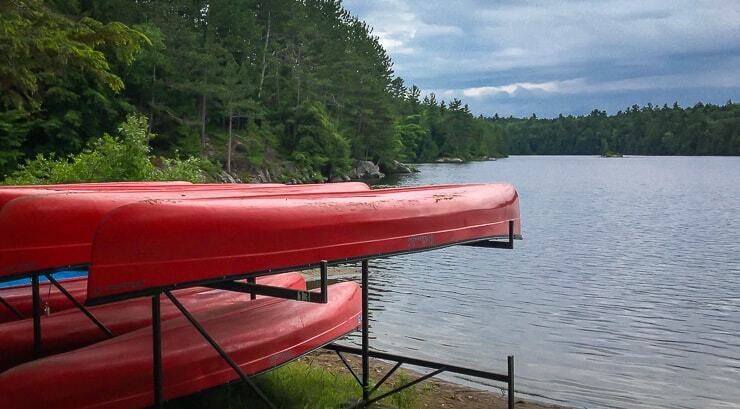 Like most provincial and national parks, Silent Lake is admirably well maintained, with groomed trails, clean comfort stations, pristine beaches, canoe rentals, and much, much more. 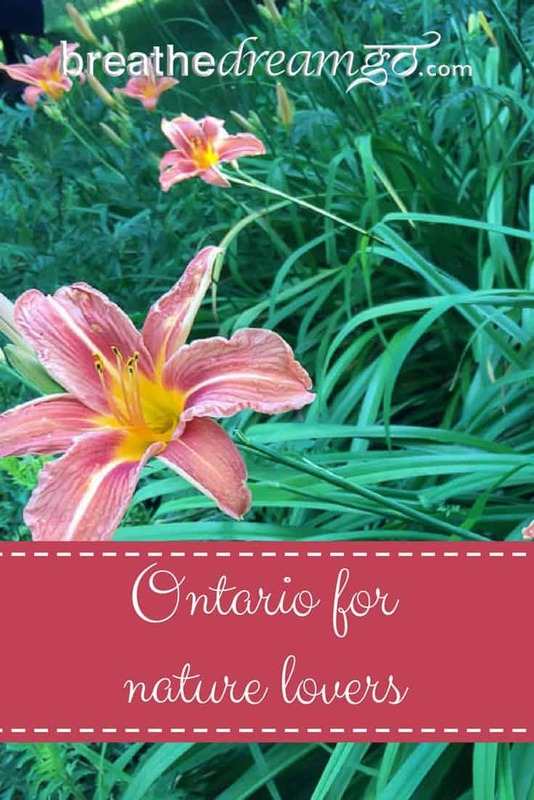 If you have never been to a provincial or national park and campground in Ontario (and Canada), you will be very surprised at how much they have to offer visitors. 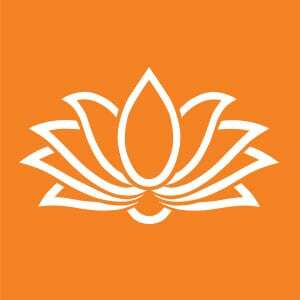 I would urge all Canadians and foreign visitors to get out of the cities, and see the “real” Canada. All over Canada, and including in Ontario of course, there are vast landscapes of beauty and wilderness, teeming with plants, bird, animals, insects.